Holiday shopping for your baby, toddler or preschooler? 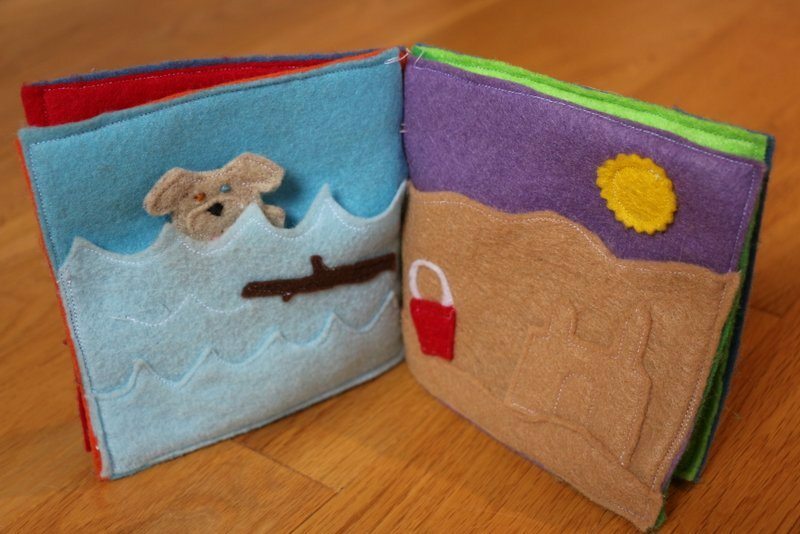 Guest contributor Lorrie Holmes suggests a felt book. My favourite type of gift has always been one which requires a much larger investment than money. I’m talking about receiving something that is clearly given with lots of thought and feeling. Better yet, one that’s even home-made. Okay, I might be pushing it on the home-made part, but it would be nice! If you’re looking for something special, thoughtful, and yes, also home-made this Christmas, look no further. I’m about to introduce you to the perfect little treasure for any new babies or even toddlers in your lives – preschool aged children are also included. Artist and artisan, Kathy Holmes Tenta, has just the thing. The perfect gift, made specially to order. Her custom made felt books are bound to charm any parent while exciting your youngsters with all the personalized touches made specially for them. 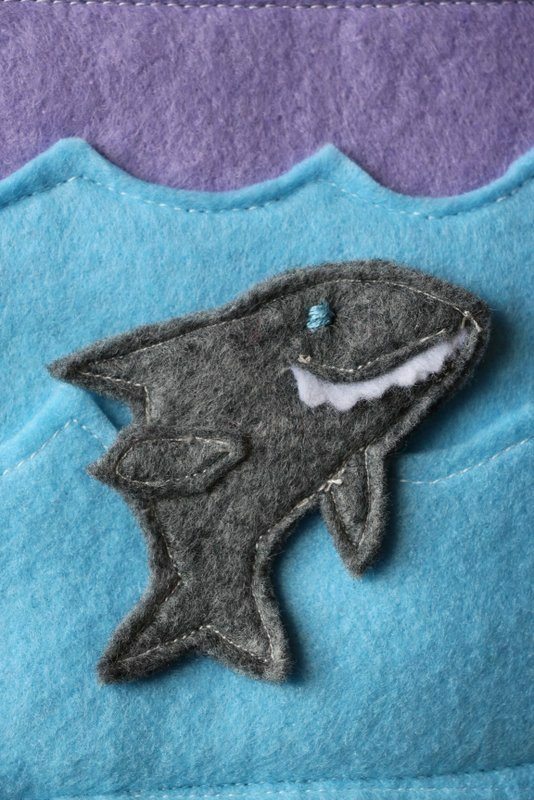 These soft and cuddly little felt books begin with your child’s first initial sewn right on to its personalized cover. Within these pages, your child will find a customized character waiting for them, hiding behind a tree or maybe inside a boat. Each book comes with one personalized character – perhaps the family pet or favourite household item like their well worn blankie or stuffie? To top it off, this adorable little package is perfect for cuddling up with at nap time or to take along on outings. Soft, portable, fun and full of little pockets for hiding the characters inside. Yes, Kathy has thought about everything here with these multi-purposed little treasures. And it’s no surprise. Anybody who knows Kathy also knows that she is a gift giver. 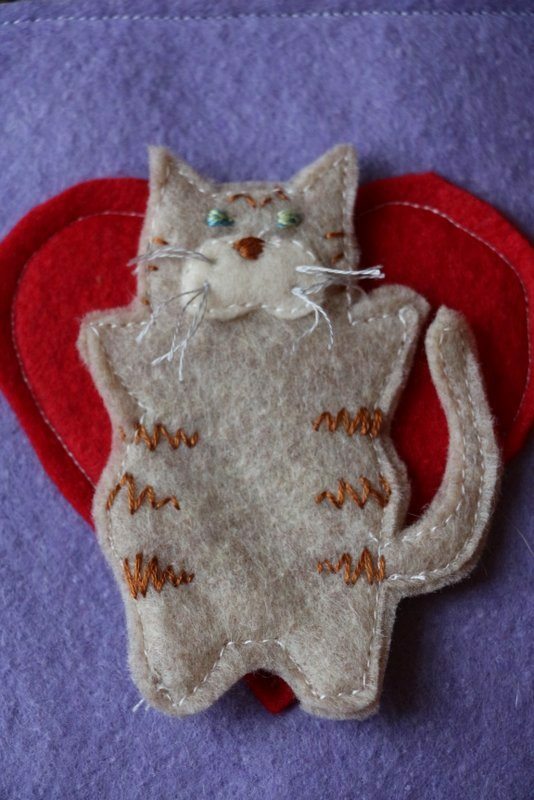 And, she doesn’t just like to go holiday shopping to choose gifts, she also loves to make them. I’m not talking about big extravagant items, rather something that might be tiny in size but huge in meaning. Ones with gestures that last a lifetime as her gifts are definitely keepsakes. “It’s how I show my love and appreciation,” Kathy explains. When asked what Kathy likes most about these books she offers, “I like seeing the children playing with and enjoying them. I also love hearing from their families about how much the child loves the book and how much fun it is to explore together as a family.” Now speaking from experience as a mother, Kathy continues, “I also like that they are easy to stuff into your diaper bag, clip to your stroller or carseat, and read before bedtime – or even leave in bed!” Another great feature is that these books are soft, light, easy to pack, and even washable: “Gentle cycle, cold and for best results, hang to dry,” Kathy suggests. Kathy has been told by moms of older siblings that they have enjoyed the books just as much – telling stories about the adventures of the main character, or hiding these characters for their younger siblings to find. To learn more about these personalized felt books, Visit Kathy at www.facebook.com/kathyandflick or swing by her Etsy shop and do a little holiday shopping at www.etsy.com/shop/kathyandflick. Lorrie Holmes runs art, music and writing programs for kids from preschoolers to preteens at her creative arts studio, Lyrical Note, in Delta.